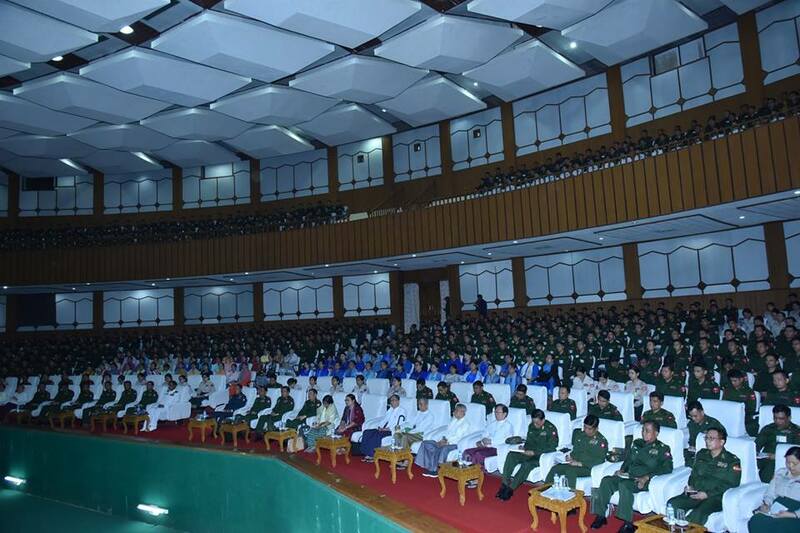 Commander-in-Chief of Defence Services Senior General Min Aung Hlaing, during his meeting with honorary and guest professors and lecturers of Defence Services Medical Academy and Defence Services Institute of Nursing and Paramedical Science, and trainee officials who are doing doctorate and master degrees in medical science and instructors and cadets this morning, urged teachers to also act as parents to their students and teach them to be well-versed in the respective subjects and turn out them as good leaders. He called such parental teaching a noble act which can be called an auspicious practice because of handing down their knowledge to future generations. 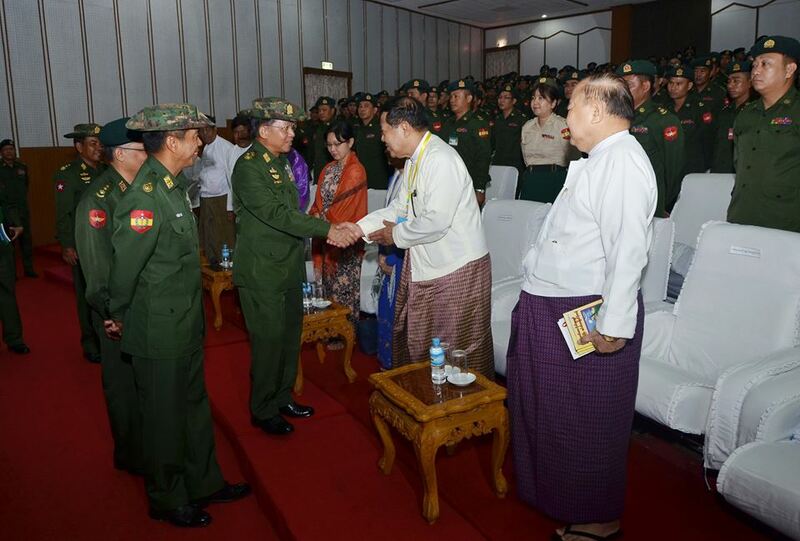 Also present at the meeting together with the Senior General were Commander-in-Chief (Navy) Admiral Tin Aung San, Commander-in-Chief (Air) General Khin Aung Myint, senior military officers of the Office of the Commander-in-Chief (Army), Commander of Yangon Command, honorary and guest professors and lecturers of Defence Services Medical Academy and Defence Services Institute of Nursing and Paramedical Science, and trainee officials who are doing doctorate and master degrees in medical science and instructors and officials. 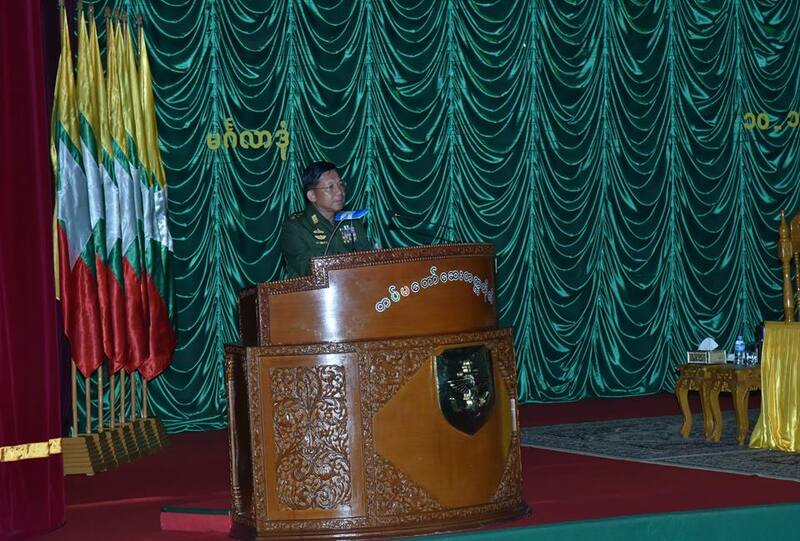 The Senior General said fitness is essential for service personnel in training themselves to be able to protect the country in accordance with the training principles of Tatmadaw ‘Must be Fit and Strong; Must be Proficient; Must be Courageous.’ Paramedical troops, being responsible for health and fitness, mainly have to promote health care services of Tatmadaw. 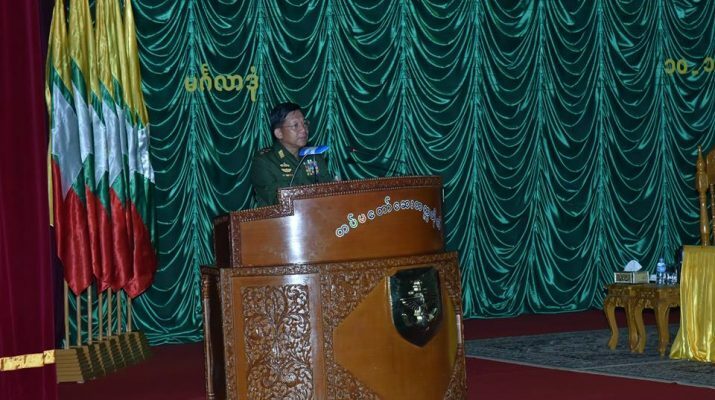 Proficiency is critically important in training, said the Senior General, urging the teachers to train their students to be well-versed in respective subjects in respective academic years. Teachers have to ensure that those they have trained are reliable enough to be assigned for duties, he said. 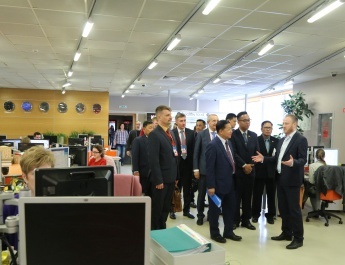 Training period was extended, the number of trainees was reduced, and qualifier teachers were assigned in order to improve the results of training, he said. And trainees were selected based on their IQ and EQ since only those who have proper foundation can absorb all he is taught. Instructors are responsible to mentor their students systematically in accordance with parental obligation—dissuading their children from doing misdeeds, encouraging them to do good deeds, teaching them vocational knowledge since young age, and giving them capital to do business and arrange proper marriage—as well as teacher obligation—teaching students vocational skills, mentoring them to avoid doing misdeeds, teaching everything he knows with goodwill, preventing them from possible dangers, and directing them toward better mentors. He also called for properly enforcing the guidance system in which seniors supervise their juniors. As instructors need to have better skill and more knowledge than their pupils, they must work hard to become proficient in their subjects and take a leading role. Particularly, according to the nature of university, constant study and debate are necessary so the faculty members need to study widely and extensively. As they are from the area of study, health research must be conducted without fail. Their research work will contribute to health and fitness of Tatmadawmen and healthcare services for the people. 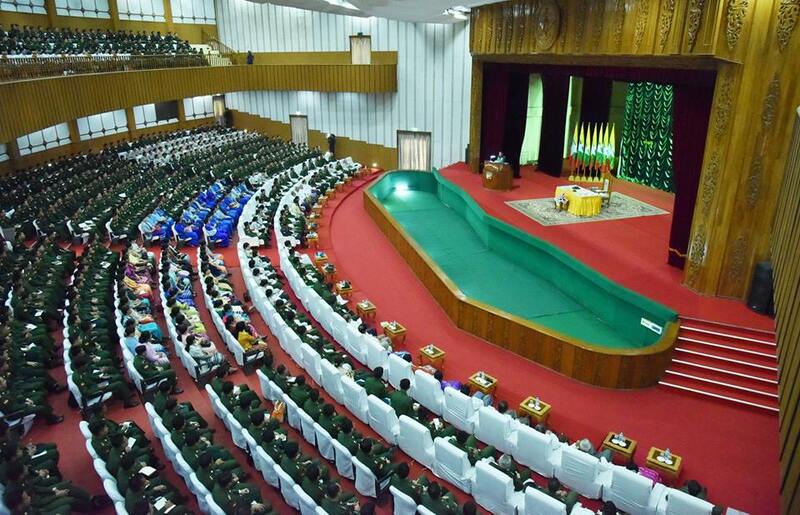 The Tatmadaw is working in line with the existing laws to ensure that the political system, which was changed in 2011, is stable and firm. Under current circumstances, the political system has to yet to be stable while the country has not enjoyed full security as a result of armed conflicts. 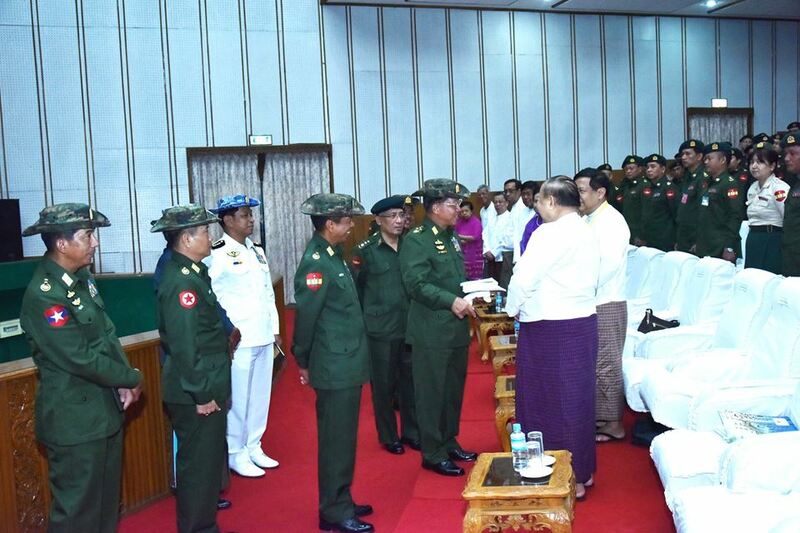 The Tatmadaw will not accept any act to encroach upon Our Three Main National Causes, the national politics of the country. When it comes to the peace issue, it is well on the track to the NCA. 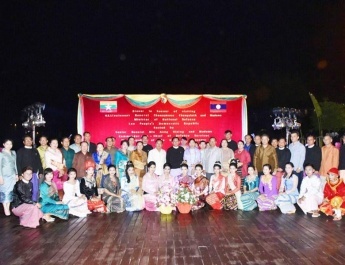 The NCA was drawn based on the demands from the ethnic armed organizations. Coordination and negotiation had to be sought in a difficult manner to sign the NCA. Meanwhile, it is also necessary to honour the pledges given as the national races by nature place greater emphasis on trust. 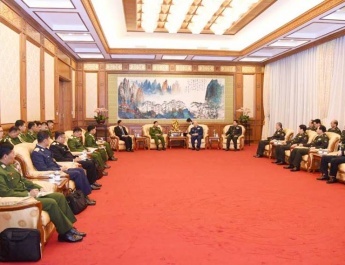 The Senior General continued to say that the Tatmadaw tried to achieve success in its agriculture and livestock breeding so as to contribute towards food supplies, which plays an essential role. For individual Tatmadaw families, they will be able to support their living conditions by engaging in agriculture and livestock breeding on a manageable scale. As market and price depend on supply and demand, the Tatmadaw is doing its bit to help improve the country’s economy. 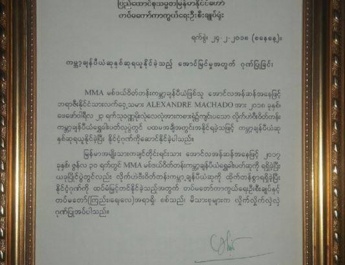 Giving general instructions, the Senior General called for ensuring fair administration as unfairness causes disunity, giving promotions in a correct way, ensuring that Tatmadawmen have strong conviction in order not to sway from their way of life as they have joined the Tatmadaw of their own accord, getting insurance as they have to work at risk of life, practice of thrift by avoiding self-indulgence, self control as well as control of subordinates as indulgence leads them to spoil themselves and being contended and living with consideration as rivalry among individuals could lead to administrative problems. After the meeting, the Senior General and party cordially greeted those present.